Men and women are pretty careful about hairfall. Whether men admit it or not but balding or grey hair disturb them more than it disturbs women. A hormone named DHT cause hair loss and hair thinning. Shampooing is not the prime cause of hairfall. When it comes to hair, both men and women are pretty careful about them. Whether men admit it or not but balding or grey hair disturb them more than it disturbs women. As per some people, the current weather conditions, dirt and dust, diet and some other reasons are causes of baldness in men. 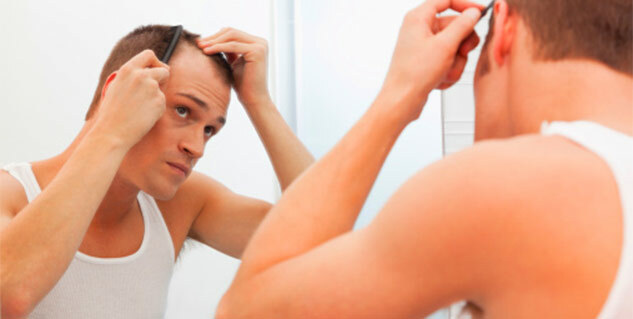 There are hair loss myths that need to be broken. Very less people know the real cause of baldness in men. Here is a list of hair loss myths that you should be aware of. The fact is that hair loss can affect you in your teenage years as well. A hormone named DHT (dihydrotestosterone) starts affecting after puberty and this is the time when boys start experiencing hair loss and hair thinning. The fact is that balding is not the result of excessive hair fall but as a result of hair thinning, which is called miniaturisation. The thick hair is now replaced by thin hair and which later on, leads to baldness. It’s merely a myth that high level of testosterone causes hair fall, truth is that it actually occurs due to an elevated level of sensitivity to DHT. Most of people believe that extensive shampooing is one of the major causes of baldness. But that’s not entirely true, because all of us experience a little hair fall while shampooning which isn’t the main cause of you going bald. The fact is that like any other part of the body, your head/scalp too requires good flow of blood. However, if you are losing hair, blood flow has nothing to do with it. Read more articles in Hair Loss.